No, I distinctly heard 433 say it was a Mini. Does is have barn doors or is it something funky with the photo? Go over to 433's garage & look! They open barn-like & then kinda slide alongside to get out of the way. 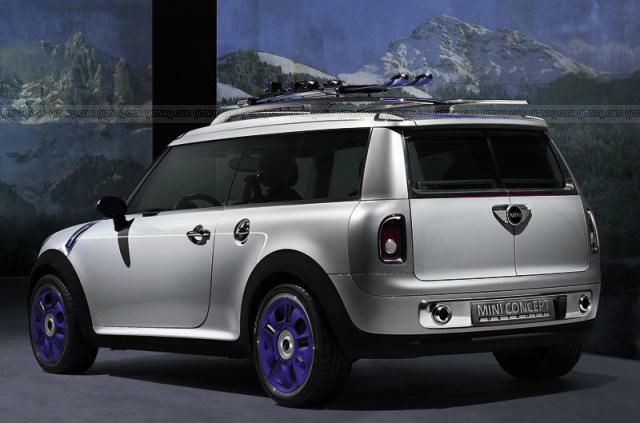 So uh, what does that get you over the standard new mini, other than a non-flip up hatch and a lot of parts to break? It looks the same size, but maybe it's like 6" longer which will let you still not fit a sheet of drywall in there. The dual exhaust looks a bit meaner. 433- full review, the masses demand it. 433 is doing a song and dance review in a mini? I've never actually seen Jeremy's legs. I wonder if his leg hair is blue too. Lisa, I thought that was called a "revue"... But yeah, that would be pretty great. He's actually singing about the mini, so I considered it a "review," but maybe we'll have to see which theme prevails and take a poll afterwards. who knows, he may have some hidden talent in that area. So uh, what does that get you over the standard new mini? You're exactly right. about 6" longer, slightly bigger backseat, longer doors making it easier to get to the back seat. They are trying to capitalize on the old Mini Traveller, no plywood hauler either. I've had two vehicles that would actually haul plywood and sheetrock. A big f350 four door truck, and a hearse. The hearse was more fun at menards when they had to check your purchase on the way out. I prefer a minor over a mini or a mini minor. 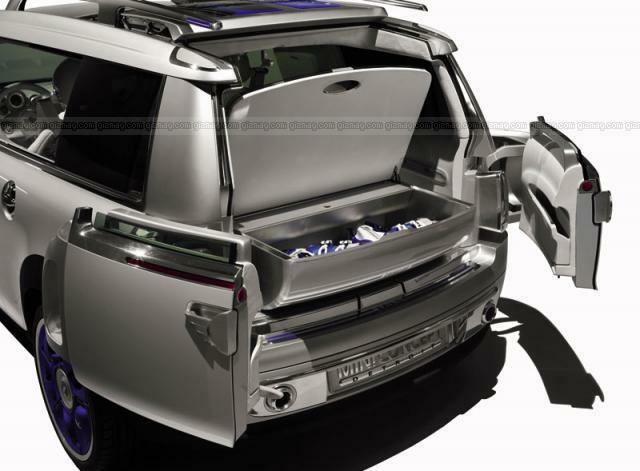 Remember the old station wagon with the three way tailgate, redone in an SUV I believe? That would be cool even on a mini. Remember the old station wagon with the three way tailgate, redone in an SUV I believe? That would be cool even on a mini. That would be sweet. roll the back glass down on a nice day too. I'm not even going to respond, this is all too good.